In a house or building, garage floors mostly go unnoticed. Made of concrete, garage floors can be compared to a blank canvas, as it is left as is, without any paint, coating, or just not as well taken care of as the floors inside a house. Sure, it may require a clean sweep or a good mopping at times, but other than that, it’s just simply there. Just because garage floors are not visited as frequently, does not mean that it should be neglected. During the last 25 years or so, the notion of preserving and protecting concrete floors have gone from nothing but a chore to becoming a process of caring for it by using protective floor coatings. The idea is to protect the area from contamination and from deteriorating as well as providing a non-skid, chemical resistant and aesthetically pleasing finish to any concrete floor. Remember, the floor is the most used surface anywhere. This makes it an easy target for different bumps and bruises. Concrete floors were not created to withstand abuse such as abrasions, impact and chemicals over and over again because concrete tends to create dust from continuous wear and abuse. Concrete also shrinks when it dries. This is due to the loss of moisture over time. The shrinking and drying out of concrete occurs over a long period of time, with thin slabs shrinking faster than the thick ones. Cracking is another problem. Concrete is weak when it comes to tension, so when the weight and stress exceeds the capacity that concrete can carry, it cracks. These are some of the reasons why concrete floors should have at least some semblance of protection, as well as to make the floor last longer with minimal to no problems in the future. Coating garage floors can transform plain looking concrete floors into a professional looking floor that is functional and appealing to the eyes. Coatings range from floor and epoxy paint, stains, and sealers. Garage floor coatings decrease the likelihood of hard to clean stains, tire marks, skids and cracks. Coloured base coatings can enhance the look of plain concrete floors. Using paint made for walls or for the interior of a house would not work when used on concrete floors. The paint may last for years on walls but it would not work on floors especially when a garage floor is subjected to different abuse that walls do not have to endure. Examples of these are gasoline and fuel leaks, tire marks, mud, dirt, and various weather changes – not to mention cars parked on the surface. Spray point does not work either. Using spray paint to furnish a large area of concrete floor is also not encouraged. Spray paint when used, creates a mist that covers anything that is not covered, is only intended to be used on small objects, and as such, should be used in well ventilated or open areas. The nozzle buttons are also uncomfortable on the hands and fingers when pressed down for a long time. Using poster, acrylic paint do not work well on such surfaces as they were designed to be used on paper and canvass. More effective types of coating include penetrating sealers. This is usually applied as an exterior concrete coating. Penetrating sealers act as a barrier against moisture and chemicals and also provide protection from both hot and cold temperatures. It is easily applied to concrete surface and one of the inexpensive coatings available. Another is an acrylic sealer. It works to protect the surface of a material from damage. Acrylic coatings can be applied to interior and exterior surfaces and is available in two bases: water or oil. This sealer dries fast and finishes can purchased anywhere from matte to glossy. Just like penetrating sealers, they are affordable and easy to apply. 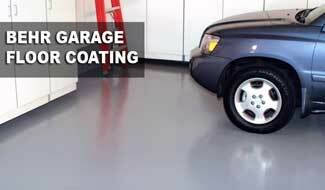 Polyurethane concrete coatings can also be used for garage floors. They produce a glossy finish. It is a transparent sealer that can be bought in water or oil based formula but requires a coat of primer before applied. They are durable and thicker than acrylic and penetrating sealers, and applied to interior or exterior surfaces. It is used mostly in high traffic locations. Thin concrete overlays can also be used as a surface coating. This material is mostly used for restoration purposes. Surfaces with cracks, dents, chipped and uneven surfaces are ideal when using this type of coating. This usually cures in a few hours and is a repair option that will fit in any budget. To achieve an attractive surface, concrete overlays can be textured, stained or stamped to produce a unique and attractive finished look. What usually works perfectly when coating garage floors is epoxy. 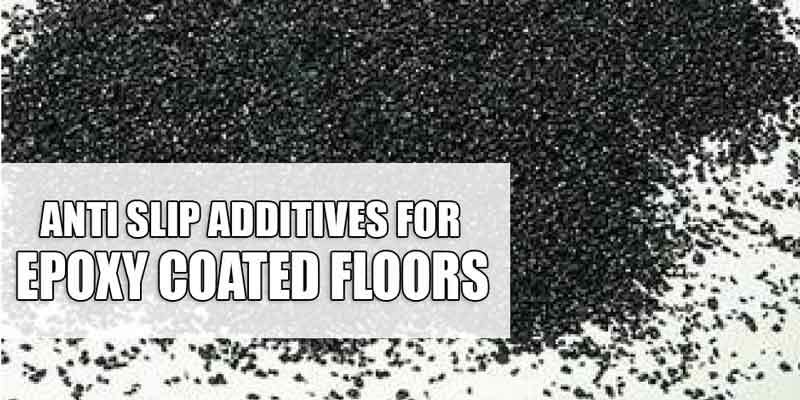 It is a thermosetting resin that is used to coat concrete floors. Mixing resin and polyamine hardener produces epoxy. It was designed specifically for garage floors since it is durable, effective and easy on the eyes as well. Epoxy coatings are available in one or two part formulas. One part epoxy coatings are great since they can be applied easily and dries faster. They chemical solvent based and water based formulas and resins are premixed at the manufacturing stage rather than during the application. Another great thing about it is the fumes are low to none, making it easy to work with. One part epoxy coatings are not hard or durable as two part epoxy coatings because they are thinner. 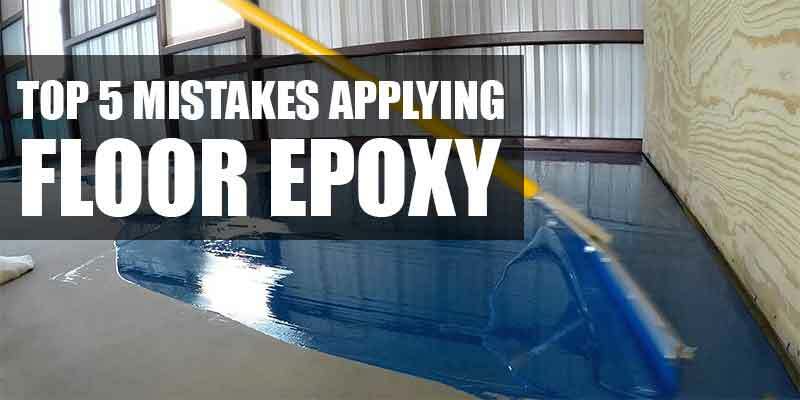 Two part epoxy coatings are the hardest and more durable of the two types. They might be more labour intensive because it is more rigorous than one part coatings, but are considered the best epoxy coating. 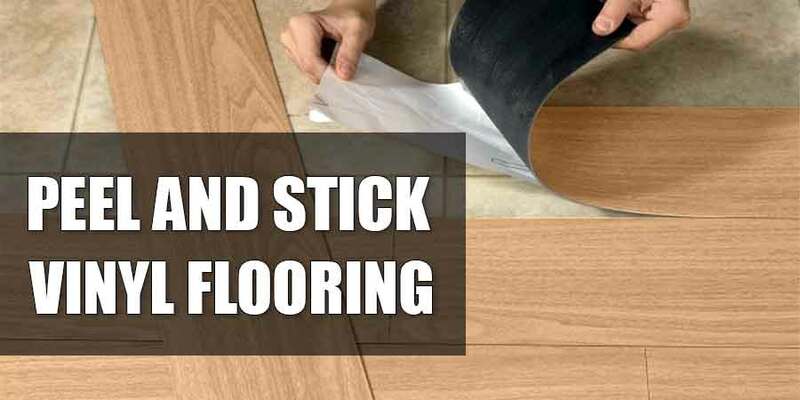 The chemical process in making it makes for a durable, hardest and thickest floor finish. Floor covering kits that are sold as a do-it-yourself option can be found in hardware stores, home depot, and thru online websites. Unlike one part epoxy coatings, this type of coating is costly and a job that should be done by professionals. Both types of epoxy coatings include a non-slip finish since they can be slippery when wet. Behr is one of a few brands who offer both types of epoxy coatings. 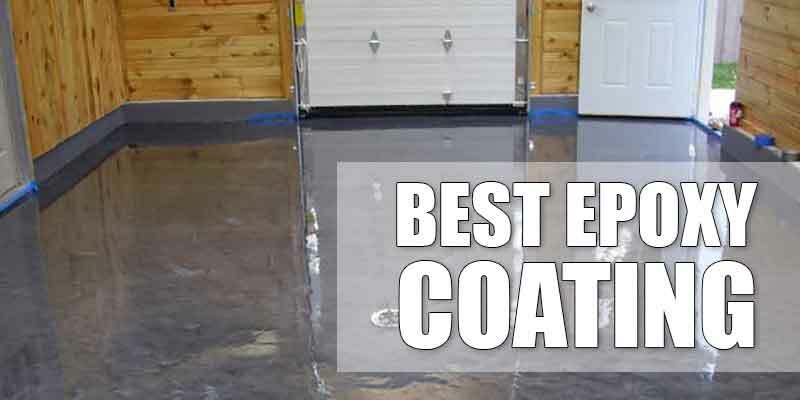 Take into consideration some benefits that epoxy coating can do to garage floors. Epoxy finishes are easy to clean and to maintain. It gives the garage floor a shiny, professional appearance and the surface becomes smooth and fluid resistant once applied. 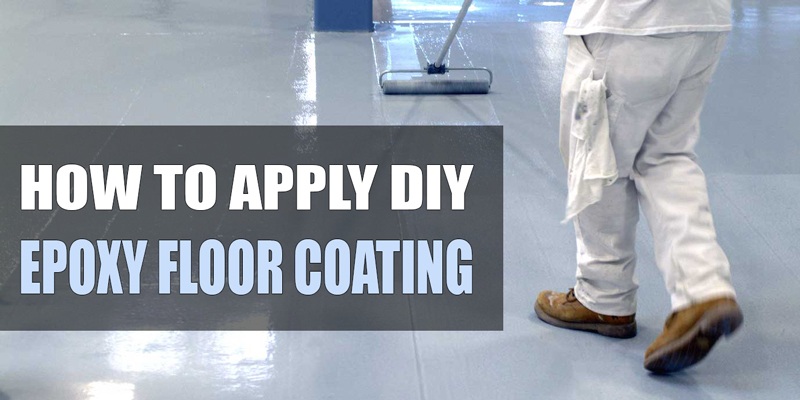 Epoxy coatings also act as reflectors – reflecting light off the floor creates better visibility. Most importantly, garage floor coatings can prevent surface abrasions, stains, marks and chemicals. It is also moisture resistant. This is good for homes in places that experience snow or cold climates. Garage floor coatings create an aesthetically pleasing, clean and shiny look that plain concrete floors simply lack. Coatings can fail in the presence of moist or damp concrete floors and unfinished floor preparations. One downside of using coatings is when moisture penetrates and rises from the concrete, it keeps it damp. Moisture prevents the coating to stick to the concrete which can result in flakes. It is essential to test the concrete floor to check for any presence of moisture before applying any sort of coating. Another downside to this is that applying garage floor coatings can take up to several hours – from prep, the actual procedure and drying. Depending on the state of the floor, prep time can include intensive cleaning or removing any previous coating. Surface problems such as holes and cracks need to be repaired first and etching of the concrete floor with acid leaves it clean and ready. Nothing is perfect, and so even garage floor coatings are not resistant to everything. If welding is being done in a garage, there is a still a good chance that the hot slag that falls will create burn marks. Companies take into careful consideration the durability, longevity, accessibility, and finish of garage floor coatings. Behr is one such company. Along with a wide range of products from paint, to floor coating, to strippers and cleaners, there are Behr garage floor coating products that can be used to protect your concrete floors. Before applying any type of garage floor coating, make sure that the concrete is cleaned and etched before applying the coating. Once the floor is etched and cleaned, application of the coating can begin. Wearing protective wear and gear such as eyewear, gloves, and breathing devices can prevent any injury or health related problems. When applying the coating, always start in a corner and continue along all the edges of the walls. This ensures that all corners and nooks and crannies are coated. It is best to use a wide paintbrush when covering the sides with the coating, and use a roller to fill in the center part once the sides and corners are done. Try attaching an extension pole to the end of a roller helps cover larger areas faster. It is also best to make sure that there are no gaps of untouched concrete floor. Once the whole area is covered with the coating, it will cure anywhere between 3-7 days. Epoxy coatings typically last up to 10 years or more if the coat is thicker and is applied multiple times, usually done by professionals, of course. Taking care and maintaining garage floors is a different matter but it is simple. Cleaning with a broom or dust mop works just fine for daily maintenance while for a thorough cleaning, washing and rinsing the floor thoroughly works just fine. T o prevent tire marks and surface abrasions from marking the garage floor, using a gentle cleaner or any degreaser that has citrus as part of its ingredients. Refrain from using harsh cleaning chemicals. Although coated garage floors become resistant to different substances, they are not impenetrable. Battery acids can leave damage if not cleaned up immediately. It is especially harmful since it can cause bubbles, chips and peelings that end up ruining garage floor coatings. A little effort in order to maintain and keep garage floors clean can make coatings last for years. 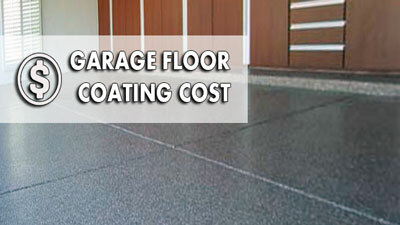 When thinking about buying garage floor coatings, cost is one thing to consider. The cost and preparation needed to get a professional looking appearance may not be within the budget of some homeowners. The least expensive way to get quality coating is by buyers of the coating doing it by themselves. As mentioned above, the steps are relatively easy and can be done by any one. An installation done by professionals usually includes putting a minimum of three coats. The cost usually goes up after that, depending on the amount of top coats to be applied. As long as the finish is applied to the floor and people can refrain from changing the style, colour or design saves time and money. More and more people are starting to take care of concrete floors and giving it attention. Behr garage floor coating makes concrete floors last longer. Coated concrete floors are easier to clean compare to concrete floors which hold dirt. They will also last a lot longer than bare concrete, and reflects light 90-99% more than bare concrete floors. This provides greater visibility, and reduces the need for plenty open lights inside the garage. The importance of coating concrete floors is passed down to those who want to coat their floors in their homes, in buildings, garages and anywhere else where there is concrete. It may seem as a simple act, yes, but one that yields many uses and benefits if properly executed. Maximizing the use and longevity of such floors require even the most basic of protection. Using Behr garage floor coating is one of those means. Not only does it enable people to save money in the long run, but it also helps the room look beautiful and clean, whereas bare concrete floors require intense cleaning when chemicals, dirt, mud, and tire marks are all that is seen. Coating concrete floors improve the overall look of a place and you also save time when cleaning up. All it takes is dedication and effort to start and finish a project that anyone would greatly benefit from. Copyright © 2019 Garage Floor Coatings.